Rick Cohen the former owner of North Shore Motor Group in Great Neck, NY was found guilty of fraud for swindling customers out of $10 million over the course of 4 years. He will serve a four-year prison sentence. In one scheme, Cohen falsely told customers that he would use part of the sales proceeds to pay off the loan on trade-ins, the prosecutor said. In a second scheme, Cohen told buyers that they would get the best deal by financing a car purchase with a short-term loan. But he actually had his victims sign up for long-term car loans, pocketing the long-term loan payments as they came in. Cohen also changed the addresses on the loan papers to that of his business, so dunning notices from the financing companies never reached the customers. Two of his victims ended up being players from the New York Islanders. Cohen initially pleaded for no jail time, citing that he has been volunteering as a fireman and working to become a paramedic. The judge could have sentenced him for up to 13 years for conspiracy, bank, mail and wire fraud, but determined that a 4 year sentence in addition to restitution and 5 years of supervised released was sufficient. It is not often that these "stealership" criminals actually go to prison. 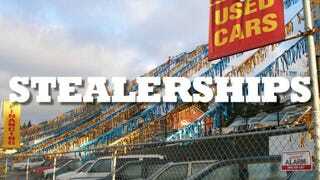 I imagine if more owners of shady dealerships were forced to serve time, they may think twice before ripping off car-buyers.